Verizon 5G Home service is currently offered in specific areas; click here to check for 5G coverage availability. The LED cycles through several different colors when the Factory Reset button is pressed. 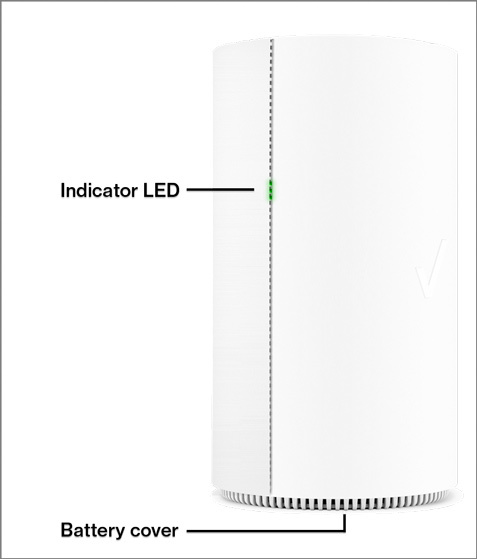 From the front of the Router, locate the LED indicator. Blinking Green Router is booting up. Solid Green The router is connected to the internet. Blinking Yellow Software update is in progress or device is powered by battery only. Blinking Red No service, critically low battery (10% or less), SIM error or locked SIM.